The Airbus A350 XWB aircraft is set to be the most 3D printed plane in history, carrying over 1,000 plastic endparts from Stratasys, a partially 3D printed engine from Rolls-Royce, 3D printed fuselage and engine pylon parts from Alcoa, as well as components from Materialise and possibly even a 3D printed partition inspired by mold. With all of this 3D printing, the defense giant is going to need more 3D printing facilities, which is why they’ve just opened a 3D printing center in Germany with the Ludwig Bolköw Campus. 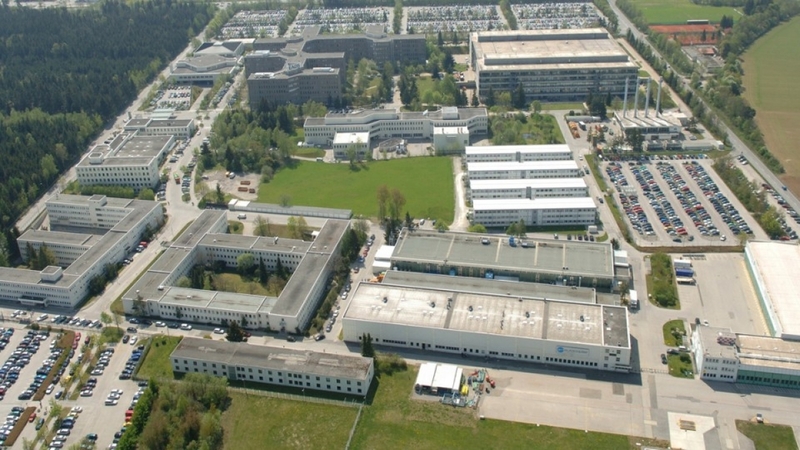 The center is an extension of Airbus Group’s R&D facilities in Ottobrunn/Taufkirchen. The Aerospace Factory, as the new 3D printing center at the facility is being called, will be based out of the Ludwig Bolköw Campus, an industry and university collaborative venture located on-site. The location will be used to research the 3D printing of endparts for use in aerospace through work performed by a number of important players including: Airbus Safran Launchers; metal 3D printer manufacturer EOS; engine maker MTU Aero Engines; the Technical University of Munich and its Institute for Machine Tools and Industrial Management; Airbus Group Innovations; the Fraunhofer Development Center for X-ray Technology (EZRT); Industrieanlagen-Betriebsgesellschaft mbH (IABG); Airbus subsidiary APWorks; virtual prototyping firm the ESI Group; and the Airbus Endowed Chair for Integrative Simulation and Engineering of Materials and Processes (ISEMP) of the University of Bremen. The news came yesterday as Aerospace Group inaugurated a new material research lab and broke ground for their E-Aircraft System House, which sees Airbus partnering with Siemens to explore electric flight. The materials lab is focused on creating lightweight, environmentally friendly materials. Staffed by 65 experts, the lab will explore such technologies as 3D printing and welding. The E-Aircraft System House will, when opened in 2018, will see the defense manufacturer work to create electric and hybrid aircraft engines to help reduce CO2 emissions in aerospace. As exciting as the new 3D printing center is, I’m more interested in the E-Aircraft System House. Worldwide government agreements to cut CO2 emissions seem to be at least driving large manufacturers like Airbus to make the needed shift to clean fuel. I hope that they’re able to do so before it’s too late!